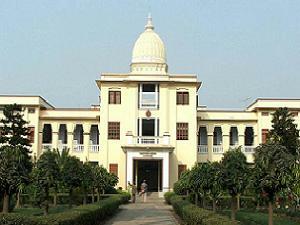 Department of Computer Science & Engineering, University of Calcutta, Kolkata invites application for admission to Doctorate of Philosophy (Ph.D) programme commencing in the session 2013. Ph.D (Tech). degree in Computer Science & Engineering under the Faculty of Technology. Ph.D (Sci). degree in Computer Science. Candidates will selected based on Entrance Test and interview conducted by the university. Candidates should have a M.E./M.Tech./ Post B.Sc. - B.Tech/B.Tech. /B.E. in Computer Science & Engineering, MCA from a recognized university. Candidates should have a M. Sc. (Computer & Information Science) or equivalent, MCA from a recognized university. The Application form can be downloaded from the official website of Calcutta University or can be obtained from the office of university sales counter by paying Rs. 100/- in cash. All the applicants except those who have already passed UGC/ CSIR (JRF) examinations /NET /SET /SLET /GATE /Teacher Fellowship or equivalent examinations or completed the M. Tech./M.E. degree in Computer Science & Engineering or equivalent examination are to appear at the written examination. Entrance test will be held on March 16, 2013. Ph No: 033 - 22410071.